First Day on the Water...DAMN!!! January 4, 2017 - Our first day on the water was pretty dramatic. It was minus 13, so needless to say it was freaking cold. This was also our introduction to Arctic diving, which always takes a day to get used to. Sadly though, the orcas were a no show. It turns out the herring is late this year, which means the orcas are late. There was a pod in the area two days before, but where that pod is now, is everyone’s guess. We did have some great moments with sperm whales. Now that was exciting for me. I’ve never seen a sperm whale. We didn't try to get in the water, because by the time we found them, we were all frozen. So we enjoyed watching them come up for a few breathes before they would drop back down into the depths to feed. A quick video of the ice build up on our boat. Crazy cold. We had one curious sperm whale that turned towards us, swam up to the boat and right underneath us. It was a massive male, what a privilege to see it up that close. I would of videoed it, but my cameras batteries all were frozen and useless. Need to figure that out. I am also kicking myself for not dunking my camera,Vera under to snap a photo. It probably would of come out like crap, but it was so close, you never know? 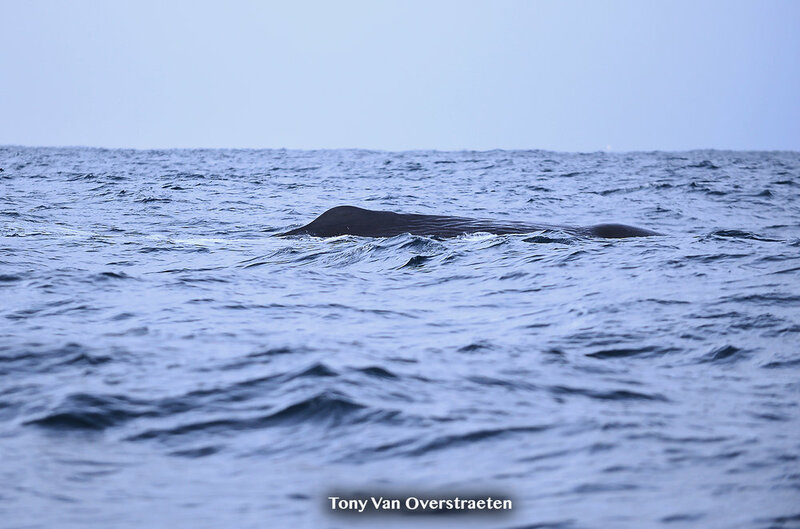 We finished the day with about 3-4 different sperm whales. Which was very cool. But sadly we were not there for sperm whales, we were there for orca bait balls. Don’t get me wrong, if we had gotten in the water with the sperm whales it would of been insanely amazing and what a privilege seeing them out there. But whale watching from a boat is not what we are here to do… Hopefully tomorrow will be a better day. We capped off the evening with more Northern Lights. The show was just amazing. Newer PostOrcas...Finally! But damn the freaking weather. Older PostTravel Day - Arrived In Andenes...finally!